A new study has found that patients taking statins – cholesterol-lowering drugs – have a reduced risk of developing Alzheimer’s disease. 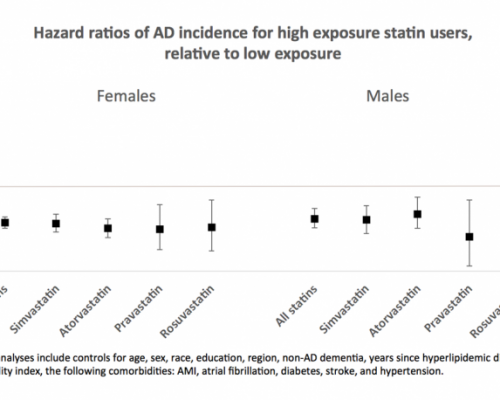 Researchers from the University of Southern California and University of Arizona analyzed 399,979 men and women and found that those taking statins for two years or more had a lower risk of developing Alzheimer’s disease. Previous studies have shown a link between cholesterol and Alzheimer’s disease as beta-amyloid plaques interfere with many brain functions.